Range Rover Boot Space, Size, Seats | What Car? No car as big and wide as a Range Rover should have a problem accommodating two grown-ups alongside each other and, sure enough, front occupants have plenty of space. Even with the large central storage compartment and individual armrests for each seat, there’s more than enough shoulder room which is complemented by a huge amount of head room. There’s a decent selection of cubbyholes, too, with the aforementioned central storage area, an oddment bin under the main armrest, sizeable door pockets and a glovebox with two separate compartments. 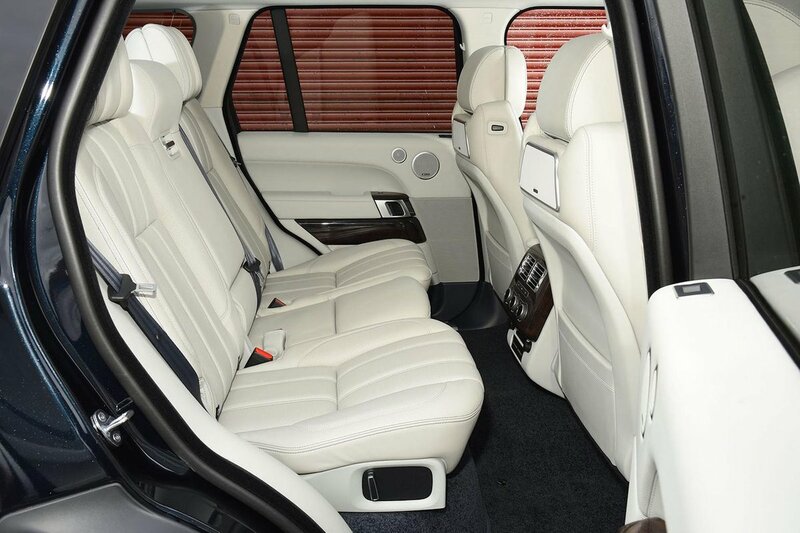 Once you’ve clambered up into the back of the Range Rover, it’s easy to get comfortable. There’s more than enough space for two adults to stretch out – and even three grown-ups side-by-side are unlikely to complain about long journeys, given the amount of leg and head room on offer. If you never need to carry a fifth passenger, you can opt for the executive seating pack. This introduces two individual, reclining rear seats that also feature a massage function. You can also buy a long-wheelbase version of the car that puts the amount of rear leg room on a par with that of the average executive jet. The Range Rover gets a 60/40 split rear seat as standard, and all models have a load-through hatch that allows you to accommodate long, thin items such as skis, without lowering the seats. The seats themselves fold down electrically and leave a reasonably flat floor. However, there aren’t any other clever tricks, such as a front passenger seatback that folds fully forward for really tall loads. Depending on specification, the rear seats can recline for extra comfort. It’s worth noting, however, that you lose the ability to fold down the seats if you choose the executive seating pack. 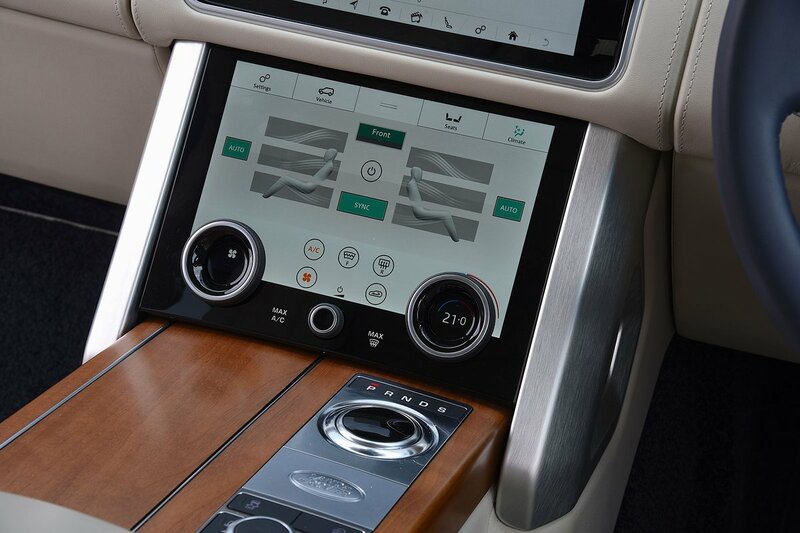 You won’t want for luggage capacity in the Range Rover. There’s more than enough space for a couple of adults’ luggage and a reasonably hefty baby buggy – or a few sets of golf clubs. The boot floor itself is decently flat, but actually reaching deep into the load bay can be tricky; that’s because the Range Rover has a two-piece tailgate whose lower section folds rearwards and can get in your way. Unfortunately, like the majority of hybrid cars, the P400e version sacrifices some boot space (including a full-sized spare wheel) to accommodate its battery pack and electric motor. 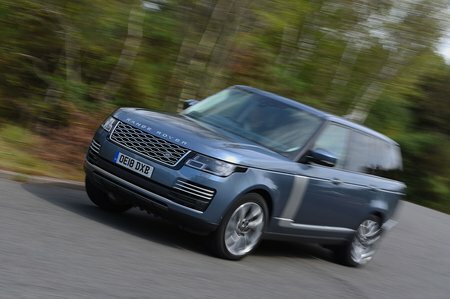 Land Rover claims boot space is reduced by up to 98 litres, with the boot floor raised by 46mm. That said, the space that remains is still generous, thanks to a flat boot floor and a wide aperture.